Things To DoAttractionsArt Galleries & StudiosWho Are Lincoln City’s Secret Float Fairies? 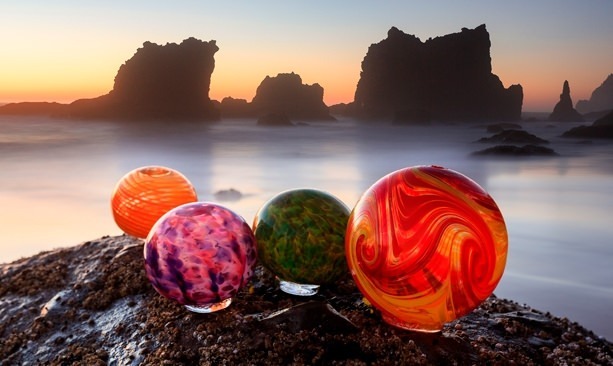 Visitors flock to Lincoln City between October and May each year to search for 3,000 custom-made glass floats along seven miles of beaches. You find it, you keep it. Volunteer Float Fairies work in secret to drop the glass floats along the shore. They take pride in their stealthy mission, and the joy they bring to visitors. 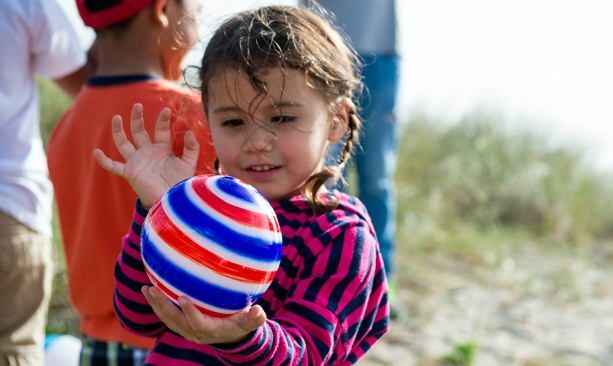 Kids and adults alike enjoy the thrill of the hunt in beachcombing during the Finders Keepers program. Lincoln City is also a hot spot for kite flying, hiking, shopping and exploring during the winter months. When you visit the beaches of Lincoln City this year, you probably won’t see Rebecca Graham. She has a top-secret identity (this being her alias), which she employs as she heads to the beach from fall to spring with a covert mission: to slip 3,000 custom-made glass floats each year onto the beach for visitors to find and keep. As a designated Float Fairy for the year-round Finders Keepers program, Rebecca has worked hard to perfect the art of clandestine float hiding by never establishing a dispersal pattern, wearing varying clothing, and alternating between five different modes of transportation. 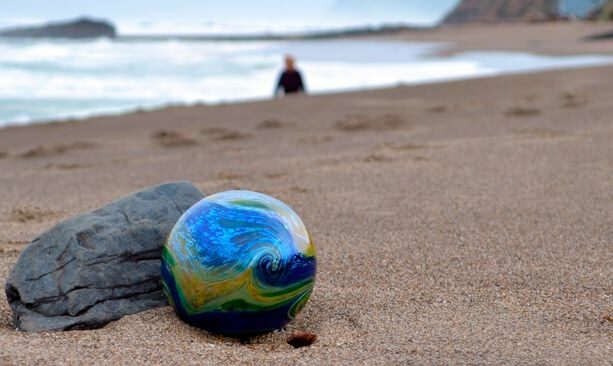 The program is a nostalgic nod to the erstwhile pastime of searching for Japanese net floats — blown glass balls occasionally transported to the Oregon Coast by ocean currents in decades past. Today, net floats are plastic; Lincoln City recreates the experience by having local artists fashion beautiful new blown glass floats in a rainbow of colors, then tasking out volunteer Float Fairies to distribute them. When Rebecca moved to Lincoln City several years ago, she and her family began combing local beaches in hopes of finding a float. 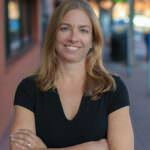 Three years later, a friend approached her with a secret and a request — she was a Float Fairy ready to retire. Would Rebecca take her place? She agreed. Taking her stealth to the next level, Rebecca lingers on the beach after her work is done to see who claims the prize. “It’s part of the payoff for me, to wait to see their reaction,” she says. Sometimes, she ends up in conversation with the finder. Once, a woman plucked her float from the sand and began sobbing. It turned out that she was visiting the coast to spread her son’s ashes, making the find especially meaningful. Another time, a group of women were so elated to find a float they surrounded Rebecca to share their story. Rebecca’s favorite time of day to place floats is just before sunset, when wet, exhausted float seekers may still be on the hunt while there is still daylight. “People come from all over to find floats,” she says. “Sometimes, they simply won’t leave until they find one.” Rebecca will wait until nearly sunset to drop a float by the beach entrance, hoping the hardworking searchers will leave victorious. Check out the Finders Keepers page for tips and hints about float drops, information about the artists, and the schedule for special drops during events and holidays. Happy hunting!